Firm: Babst, Calland, Clements and Zomnir, P.C. Steve Baicker-McKee is of counsel in the Litigation Services and the Energy & Natural Resources Groups, and has been with the firm since 1989. Mr. Baicker-McKee concentrates his practice on toxic tort litigation, environmental litigation, natural resource and energy litigation, and a wide variety of complex commercial litigation. He tries cases across the country before federal, state, and agency tribunals. Mr. Baicker-McKee is the author of a leading book on federal practice, the Federal Civil Rules Handbook, now in its nineteenth edition, and A Student’s Guide to the Federal Rules of Civil Procedure, now in its fifteenth edition and used in more than 60 law schools throughout the United States. Mr. Baicker-McKee is a contributing author to Wright and Miller, and is consulted nationally on federal procedural issues. He has taught as an Associate Professor at the University of Toledo and as an Adjunct Professor at the University of Pittsburgh. 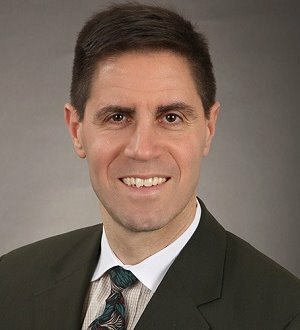 Mr. Baicker-McKee also serves as a mediator and as an arbitrator in a variety of commercial disputes, and has mediated disputes in a variety of commercial and environmental contexts. Prior to joining Babst Calland, Mr. Baicker-McKee served a two-year clerkship with the Honorable Glenn E. Mencer of the United States District Court for the Western District of Pennsylvania. Mr. Baicker-McKee graduated from Marshall-Wythe School of Law, College of William and Mary, with a J.D. in 1987, where he was on the Board of Editors of the William and Mary Law Review. He received a B.A. from Yale University in 1980. From 1980 until 1982, Mr. Baicker-McKee worked as an actuary in Boston, Massachusetts. From 1982 until 1984, Mr. Baicker-McKee built fine furniture and custom cabinets in Charlottesville, Virginia. Mr. Baicker-McKee is a member of the Allegheny County, Pennsylvania and American Bar Associations. He is Chair of the PBA Civil Litigation Section, Co-Chair of the Federal Practice Section of the PBA, and Co-Chair of the Toxic Tort Committee of the PBA. Mr. Baicker-McKee is on the Board of Pittsburgh Squash. He was elected to the Academy of Trial Lawyers and has been recognized in The Best Lawyers of America® and as one of Pennsylvania’s top lawyers in a survey published in Philadelphia magazine. Consistently recognized as one of Pennsylvania’s top lawyers in a survey published in Philadelphiamagazine. Listed in The Best Lawyers in America® in the Commercial Litigation and Environmental Law Sections since 2010 and the Litigation – Environmental Section since 2012.